2. The Enlightenment of Buddha (ตรัสรู้) – While sitting under the Bodhi tree, he found his answer and attained the enlightenment at the age of 35 years. 3. The Nibbana (ปรินิพพาน)- The Buddha passed away on Tuesday, the Vesak full moon day in the zodiac year of the small snake under the two Sal trees in the Sala Grove of the Mallas in Kusinara, the capital of the Malla state, (nowadays located in Kusinagara of Uttrarapradesa, India) at the age of eighty years (around 2547 years ago).Wisaka Bucha Day falls every year in the month of May. This year it is on Tuesday, May 29. 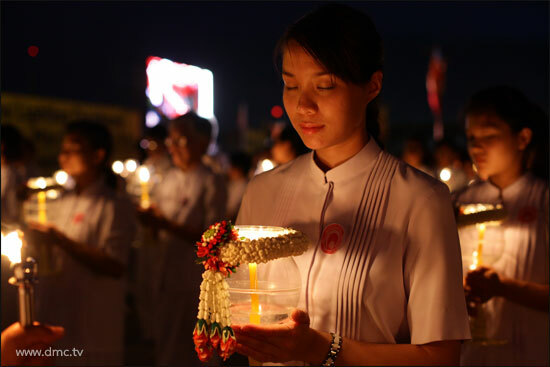 Wisaka Bucha Day is regognized as most important memorial day in Buddhism for the Lord Buddha. 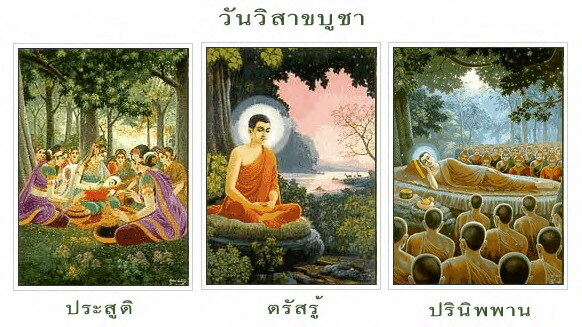 Wisaka Bucha day is also recognized by the UNESCO in 1999 as “World Heritage Day”. Thailand where is the permanent location of the World Fellowship of Buddhists, was chosen to host celebrating event for the day. Teacher Pear offered food to monks in the morning of Visakha Bucha Day in Hua Hin. “ทำบุญ tam bun” : Making merit by going to temples for special observances, making merit, giving some donations and join in the other Buddhist activities. “ปล่อยนกปล่อยปลา bpòi nók bpòi bplaa”: Setting birds or fish free to get rid of bad karma. After sunset, candle-lit processions take place at major temples throughout the country. 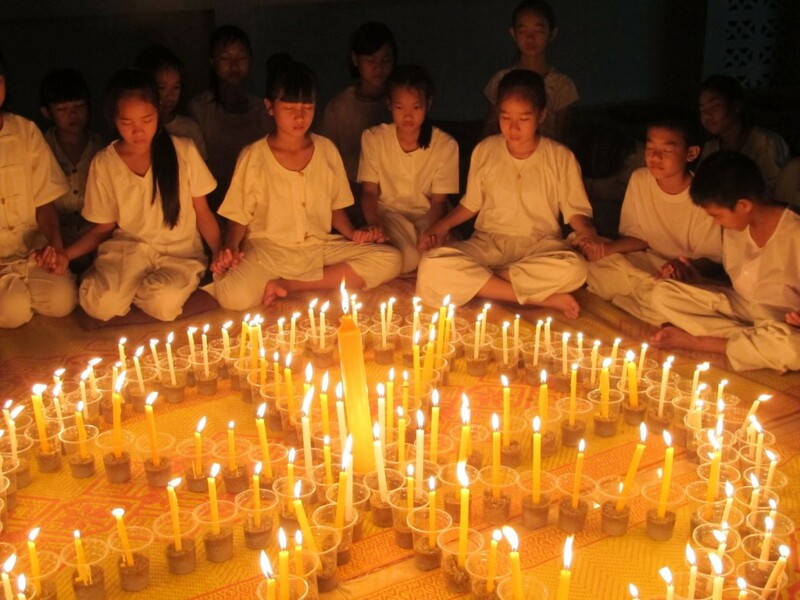 The devout Buddhists walk three times around the principle chapel clockwise (เดินเวียนเทียน), each clasping three incense sticks, a lighted candle and lotus buds. The air is filled with burning incense and smoke from the candles as the faithful complete this most sacred of Buddhist celebrations. วัดพระเชตุพนวิมลมังคลาราม ( วัดโพธิ์ ) Wat Pho (the Temple of the Reclining Buddha), or Wat Phra Chetuphon, is located behind the splendid Temple of the Emerald Buddha. 4. วัดอรุณราชวราราม Wat Arun (Temple of Dawn). The temple situated on the west (Thonburi) bank of the Chao Phraya River. It is easily one of the most stunning temples in Bangkok, not only because of its riverside location, but also because the design is very different to the other temples you can visit in Bangkok. 5. วัดโสธรวรารามวรวิหาร Wat Sothon Wararam Worawihan in Chachoengsao province. Wat Sothon, has a very sacred Buddha image and is regarded as one of the most revered Buddha images by the people in Thailand. The image, in the attitude of meditation has a lap width of 1.65 meters and height of 1.98 meters, is always seen entirely pasted with gold leaves by worshipers. Religious followers come to the temple to seek favours in the form of financial wealth and health from the Lanna-style Buddha image. Worshippers all over the country pay high respect to this temple due to the miraculous events attributed to the statue, example, recovery from terminal illness using petals collected from the ground in front of the temple statue and made into herbal medicine. In return, a small donation is given to hired Thai dancers, attired in elaborate classical costumes and perform for the resident spirits. The temple is particularly well known to childless couples that have a firm belief that praying to Luang Phor Sothorn will help result in pregnancy. In Thailand, Visakha Bucha Day is a public holiday, so government offices, banks and many shops are closed. Out of respect, Sales of all kinds of alcoholic drinks are banned from midnight of the religious day until midnight of the following day. Properly registered hotels are, however, exempted from the ban under the Hotels Act. Hi Mod, each year I send a message to Thai friends saying สุขสันต์วันวิสาขบูชา is this right or should I say something else? 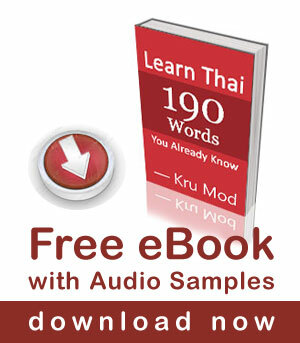 Hi Shane, we usually use “สุขสันต์” for fun occasions such as New Year or Christmas. On religious holidays Thai people don’t really give any wishes, some people might send a Buddha quote or Dhamma teaching. Hey Mod, I’m in no way an expert, but would a better transliteration (into English) of the terms for setting birds and fish free be “bpLoi”? Came to your page because this year will join the (perhaps hundreds of) thousands of people making the evening procession up the mountain to Wat Prathet Doi Suthep the night before Visaka Bucha Day. It’s really a nice event. Many years ago I did it and there were elephants in the procession. This activity can be performed at any temple, so I am sorry I don’t know which temple you were at. I did the Wien Tien with my ex wife at Doi Suthep Temple in Chiang Mai.